Deferred Consumption: SkiLink is looking to take away YOUR land. Turning to something more serious, a bill was recently introduced by Rob Bishop and Jason Chaffetz in the US House (HR 3452) and Orrin Hatch and Mike Lee in the US Senate (S 1883) which would enable the sale of 30 acres of Forest Service Land to Talisker, a Canadian company that owns the Canyons Resort. The House version is found here and is quite short. 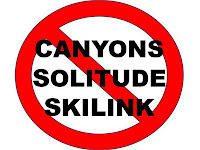 Called the Wasatch Range Recreation Access Enhancement Act, the bill would allow the Canyons to build a gondola, called SkiLink, which would connect with Solitude Mountain Resort in Big Cottonwood Canyon via the Wasatch Crest. Talisker and the bill’s sponsors in Washington are promoting the bill as a way to increase tourism and economic growth while also reducing car traffic from one resort to the other. A. It will set an unfavorable precedent to sell off actively used and appreciated public lands for the benefit of a private business entity. B. It will circumvent the public process and, in this instance, a public that has already expressed sentiments against the wanton expansion of ski areas in the Wasatch. It will become the impetus for a range war of construction of additional lifts which span the Wasatch crest and put at risk the integrity of our watershed and diminish the backcountry skier/hiker/biker /tourist experience. C. It will truly jeopardize the likelihood of there ever being one well thought out, comprehensive, and inclusive solution to the transportation and ski interconnect that facilitates our ski and transportation demands while protecting the integrity of the Wasatch of all and for all of its uses. 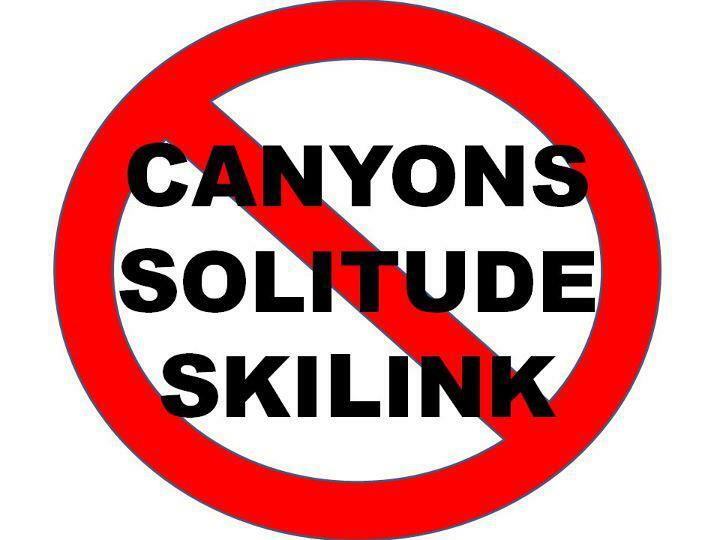 The Save Our Canyons group has also come out against the project here. Indeed, it seems that profits are the main driver behind the proposed legislation because 1) estimates have said the project will only reduce traffic through the canyons by only ~50 cars/day (based on the 18k/yr estimate), which hardly seems like something these politicians would normally care about; 2) it would involve the sale of public lands (i.e., YOUR land) to a private company in Canada; 3) it would put infrastructure in the pristine Wasatch backcountry, not only ruining the remote area for backcountry skiers and snowshoers in the winter, but also diminishing the area for hikers and bikers in the summer. As Peter Metcalf mentioned, if the Canyons Resort and local politicians think this is something that Utahns would support, they wouldn’t be circumventing the public process. This is not just another idle threat to the Wasatch, either, as the House subcommittee on National Parks, Forests and Public Lands is holding a hearing tomorrow morning regarding the proposal. Please contact our local representatives before tomorrow’s meeting and let them know how you feel about the project. The above have been compiled by Maura Hahnenberger and she has more ways to make your voice heard here. Levi, this is my favorite DC post ever. Nice work. Yes, you are right on with this one. This is something that hits particularly close to home with anyone who spends their time in the Wasatch backcountry. This is nothing but a private entity trying to acquire public lands for their gain. The only thing that will follow this sort of sale would be the expansion of that whole area with condos, golf courses, etc. and the public would lose an amazing area that is so close to our hearts and homes.